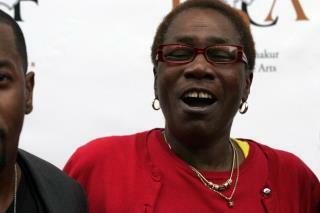 (Newser) – Afeni Shakur, mother of Tupac, died Monday at a Northern California hospital after apparently suffering cardiac arrest at her Sausalito home. The Marin County Sheriff's Department confirmed her death on Twitter after deputies responded Monday night; she was pronounced dead at the hospital about an hour later. She was 69, USA Today reports. RIP. Say hi to your Son for me. So Sixpack Shaker's mom is dead.